Professional football is one of the highest-satisfaction professions, as nine out of ten former athletes say they are glad they played the game. But fewer than half these men would want their children to participate in the sport, due to the frequency and severity of the injury. 90 percent of former players suffered at least one major injury during their careers, typically to their ankle, knee, hip, or foot. To get back on the field faster, many injured football players wear orthotic braces over their injured joint. These devices are not the cumbersome braces they were just a few years ago. Instead, most braces are very lightweight yet also very strong. For example, ankle braces for running can fit snugly without inhibiting a runner’s motion, providing support and stabilization to the vulnerable joint, and helping to absorb the shock of the foot’s impact with the ground. Both before and after Kramer strained several ligaments in his left ankle during the championship game against the Minnesota Vikings, he was known as one of the toughest football players of his or any era. As a youth in the 1950s, Kramer lost a fist-size chunk of his right side during a high school workshop incident and he was accidentally shot in the arm with a double-barrel shotgun. In college, doctors left a large, zipper-style scar on his neck after they removed a chipped vertebra. 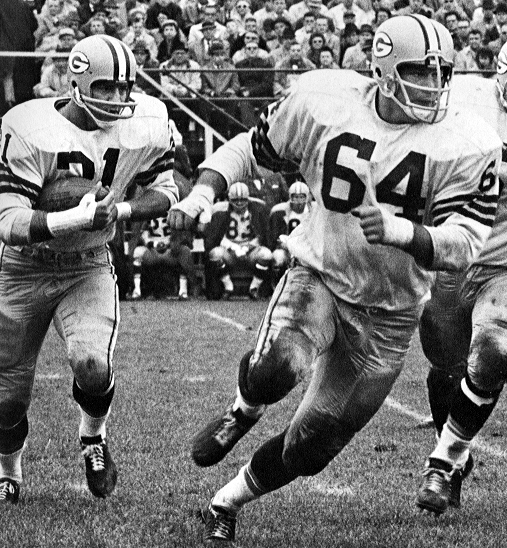 The running backs he blocked for are in the Hall of Fame, but 10-time finalist Jerry Kramer is not. The Pro Football Hall of Fame in Canton, Ohio is where NFL greats take the next step and become immortal legends. 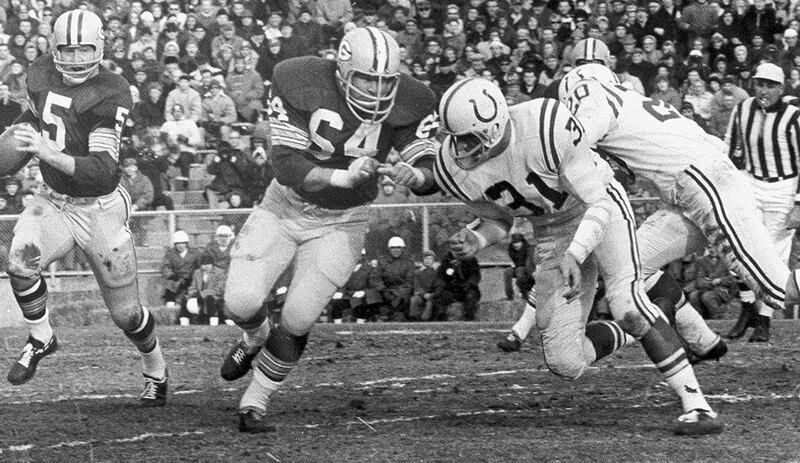 Since opening its doors in 1963, 260 former players, coaches and administrators have received football’s greatest honor, but there is a growing list of seemingly deserving players who for one reason or another have been unable to earn a bust in Canton. Being recognized as a Hall of Famer is certainly an honor that should be reserved for those few players, administrators and coaches that were truly the best of the best. It should be hard and there should be a thin line between being a great player and earning Hall of Fame immortality. However, after reviewing all members of the Hall of Fame as well as more than 250 former NFL greats who have not yet earned a spot in Canton, it is clear that the Hall of Fame selection committee has been inconsistent in their choices and not done a good job in ensuring that all deserving players are inducted in a timely manner. The 2010 Hall of Fame class marks the first time since 2001 that the maximum allowed number of inductees, seven, will receive Hall of Fame busts. In back-to-back years of 2004 and 2005 the committee chose only the minimum of four players despite the fact that 12 players who later were chosen for the Hall of Fame were eligible for induction during those years. In a previous article I outlined my disappointment that the Hall of Fame committee has often made players wait more than 30 years after retirement before being inducted though they didn’t throw a pass, score a touchdown or make a tackle during that time. While I generally believe that the Hall of Fame committee has done a pretty good job of making selections of players who are deserving of induction, I did also create a list of the 10 players who maybe shouldn’t be in the Hall. No player has been a finalist for the Pro Football Hall of Fame more times than Jerry Kramer without getting into the Hall. After two months of painstakingly looking at each position to determine which players that have been overlooked by the Pro Football Hall of Fame are the most deserving, it is finally time now, on the eve of the 2009 induction ceremonies, to look at the 10 players that I believe to be the most deserving of induction into the Hall of Fame, but who are still waiting for that call. To create the top 10, I again reviewed all 225 players that had earned mention in the top 25 lists for each position. I then narrowed the field based on overall career performance, perception when they retired (where they considered at the time a Hall of Fame caliber player), team performance and accolades received.